When you’re in a season of God doing great things through you, be careful. The time right afterward might bring a lot of temptation. When life is busy, can you really take time to get alone with God each day? Nancy says yes, you can develop that habit. Are you in the habit of spending time alone with the Lord every day? If not, this is the year to start. When life is busy, can you really take time to get alone with God each day? Nancy says, yes, you can develop that habit. We can manifest the same spirit as Jesus did when facing pressure if we’re willing make His number one priority ours as well. When you feel especially close to God--like He’s using you in powerful ways--expect to go through some times that are less emotional and less fulfilling. Regardless of how this person appears, everyone spends time in life’s valleys. Do you ever feel like everybody needs something from you? If so, you’re in good company. Jesus knew what that was like. We often despair because we have forgotten who we are. Learn how to overcome fear and panic with the confidence that only comes from Christ. Do you struggle with the pain of sorrow, regret or fear? Nancy tells the story today of one woman who reached out to Jesus with her need. Where do we turn when our situation seems hopeless? Nancy talks about a woman whose circumstances brought her to the brink of despair. There is help when we've lost hope. Nancy illuminates the hope we find in Jesus Christ. A nameless woman in a crowd, but Jesus set her free. Join Nancy today as she talks about the power of God. 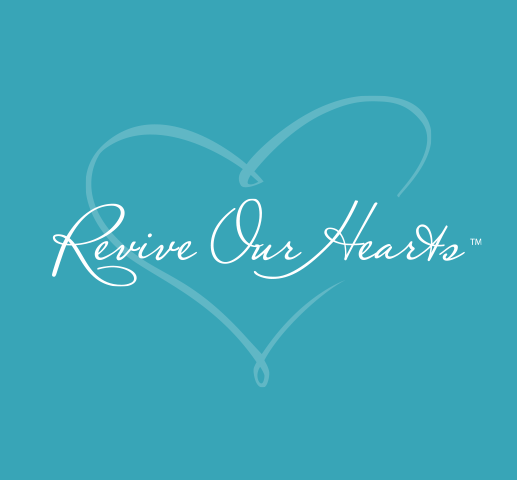 Jesus Christ can provide more than healing as we'll see on this edition of Revive Our Hearts. Can we find joy while we're waiting for God's answer? Join Nancy DeMoss as she discusses this question on today's Revive Our Hearts. Bob Lepine and Nancy DeMoss discuss some practical applications from the story, in Mark 5, about the woman who was healed. Where do you turn when a problem just won't go away? Join Nancy DeMoss as she talks about perseverance. When unbelievers interact with those who love Christ, they too often see people with their fists clenched. What are you presenting to the outside world? It’s so tempting to assume there are “respectable” sins and “really bad sins.” Can we assume the really bad sinners are too far gone? If you're going to live a life of faith, you need to be able to answer these two questions: "What is God doing?" and "How in the world should I respond to it?" When you enter a difficult storm of life that stretches you, do you know what’s happening? It might be that God is showing you His incredible grace. It seems like everyone is concerned about their status, popularity, and influence. Jesus turned the world’s idea of greatness upside down. It seems like everyone wants to measure their influence today, but Jesus invites you to embrace a different kind of influence. I will never divorce you. In 2018 that’s a radical statement for a married couple to say to each other . . . but it’s crucial. Love God. It sounds like one of the simplest commands possible. Yet you can spend a lifetime learning how to fully live it out. You can trust God. He is fulfilling His plans and purposes. Jesus said, "Don't be alarmed, don't be afraid, don't let your heart be troubled." How can Christians respond without fear in moments of worry. Nancy Leigh DeMoss teaches us how to be secure in an uncertain world climate. What are you trusting in? In today's world, can you truly count on whatever it is you have been leaning on? Nancy has been asking the Lord what He would have her share with listeners during this time of apprehension about war. How can you be prepared for whatever may come as far as world events or life circumstances? How can we face uncertain circumstances, circumstances that cause fear, anxiety and panic? Nancy teaches us where to look. How do you react when someone accuses you of something? Most people defend themselves. But when He was accused, the response of Jesus was silence.